They could not have been more honest about who they were and what they were about to do to you. Pirates. Kyzock(s). Thieves of the sea. For a few bucks more, they’ll give you a lot less than the competition. What a value proposition! They propose to rob you blind right in front of your eyes in broad daylight. High sea hijinks at the expense of the unaware consumer right in the core of downtown Vancouver within walking distance of the Pacific Ocean. 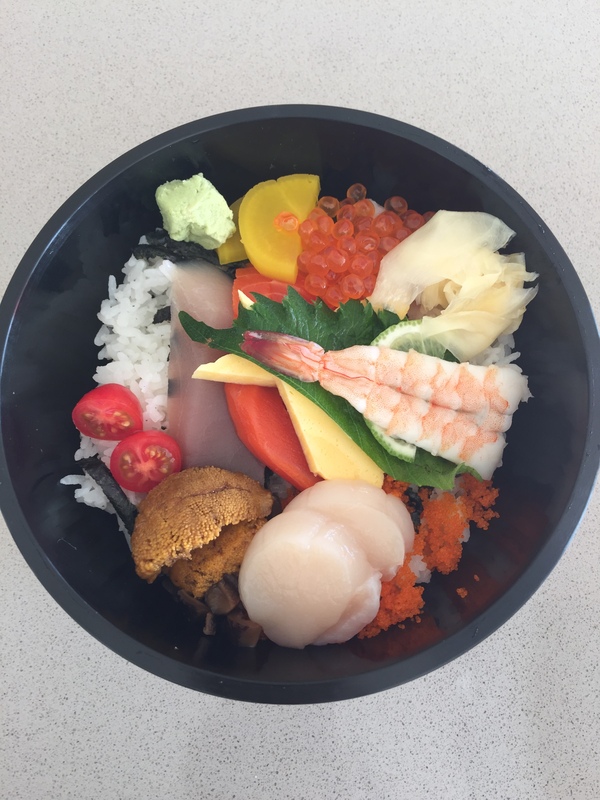 I wonder where the five pieces of raw seafood that comprise the “Gorgeous Chirashi Don” that I had the misfortune of ordering came from. From its $15 price tag, I wouldn’t be surprised if it was white-gloved via a gulf stream G650 directly from the Gold Coast of Australia. Piloted by a peg-legged, cornrow-rocking, eyepatch-wearing Johnny Depp look-alike, of course. I’ll say one good thing about the chirash: It did not induce the runs. The raw items tasted like what they were supposed to taste like. They didn’t substitute chicken for fish or lake trout for scallops. They just gave you less of everything in exchange for charging you more because they could. Because pirates know that suckers are a dime a dozen. And that dime bought me and eleven other clueless morons exactly like me. I not only fell for the scam of a fifteen dollar chirashi, I also got conned into the $13 uni don that had barely enough uni to fit into one-and-a-half handrolls. The uni wasn’t rancid. It was mostly free of bitterness apart from my bitterness of the whole situation. It was sweet if bland could be called sweet which it could never be thus this: the uni was bland. The uni was multi-coloured, which may give the impression to some – not me, but someone I know and someone whose opinion I trust – that not all pieces of the sea urchin roe were fresh. I would’ve enjoyed the uni if enjoying texture was all that was involved when one enjoys uni. 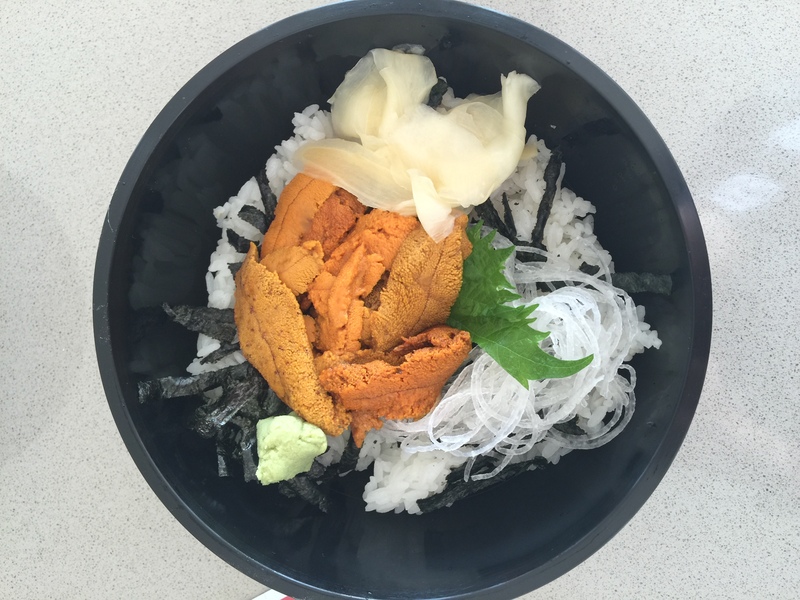 I know that local uni is in no way close to being the sweetest and most flavourful variety of uni in the world, but I’ve definitely had much better-tasting local uni at an equal or lower price point. I was hosed. By hosers. Or maybe I was the hoser. At the very least I was the loser that lost out to Kyzock(s): Pirates using seafood as bait waiting for the next loser to be hosed. Oh…and I HEART YOU, Sushi Mart. LOVE your pirate-busting HMS chirashi.